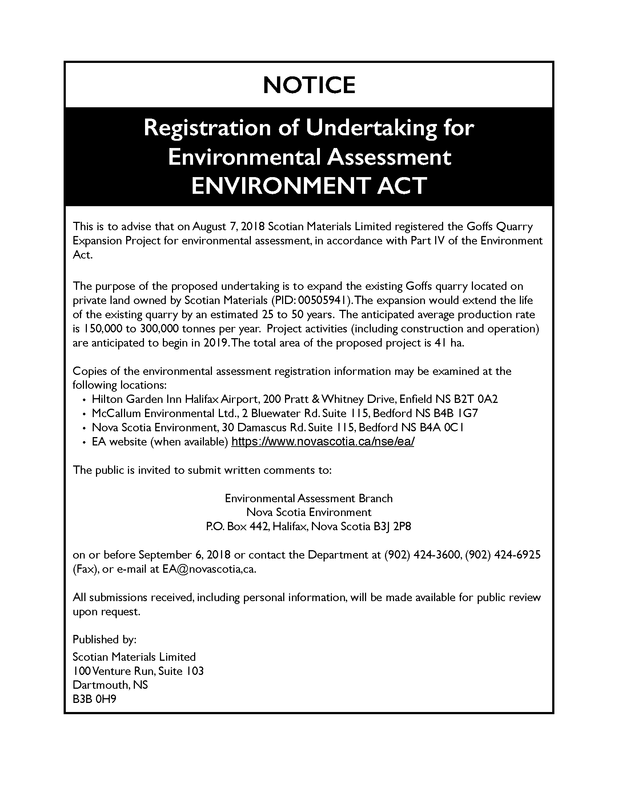 Since 2017, Scotian Materials has been working closely with the Goffs Quarry Community Liaison Committee, which is made up of representatives and stakeholders from the community. Through regular Committee meetings, Scotian Materials has shared the results of activities, monitoring reports of current operations and plans for the future. The Committee has provide valuable input that shaped the format of public engagement with the community. Scotian Materials takes its responsibility as a member of the community seriously, and continues to be committed to a transparent process, abiding by current rules and regulations. 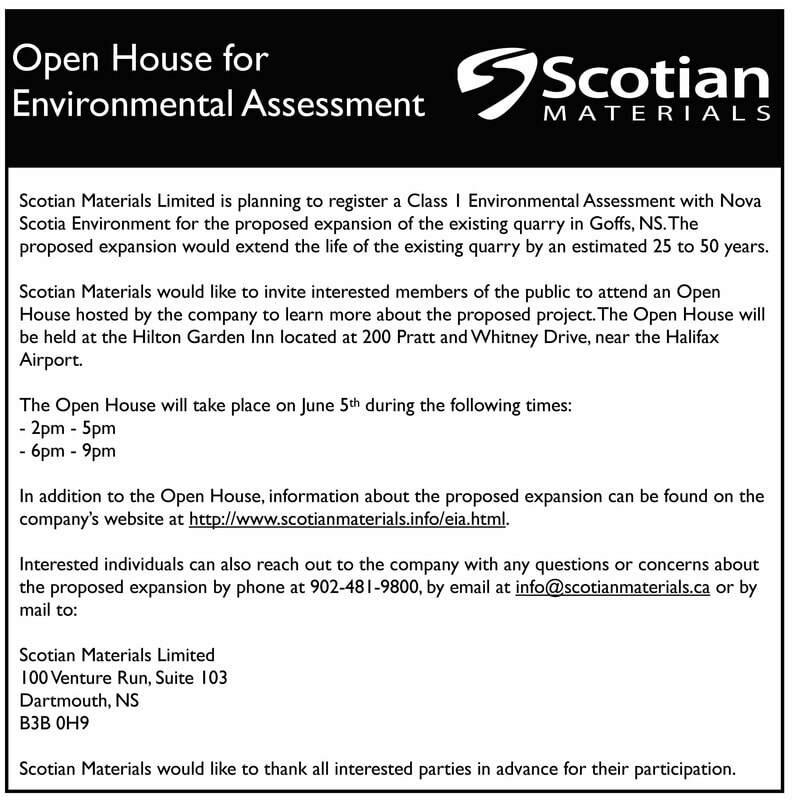 Scotian Materials held a public session for members of the community, stakeholders and interested parties this spring and copies of the presentation can be found below. ​If you have any questions, comments, or concerns, we want to hear from you. Please fill out the contact form below.